Hello ladies ( and gentleman- lets not discriminate!) i’m a huge fan of lush and order a box of goodies very month or so. Some are things i know and love and others are things i love the look of and want to try out. I am yet to be disappointed by any lush product and as an organic product loving Vegetarian, Lush is right up my alley! These are all very pink items! I like very girly scents which generally come in pink packaging-go figure. But luckily i love pink so no biggie. After two weeks everything bar the Lip Scrub and Soap had been used. These are both my favourite items from what i purchased so i am very pleased, perhaps these are my favourite as i had more time to enjoy them? I don’t know. Anyway! 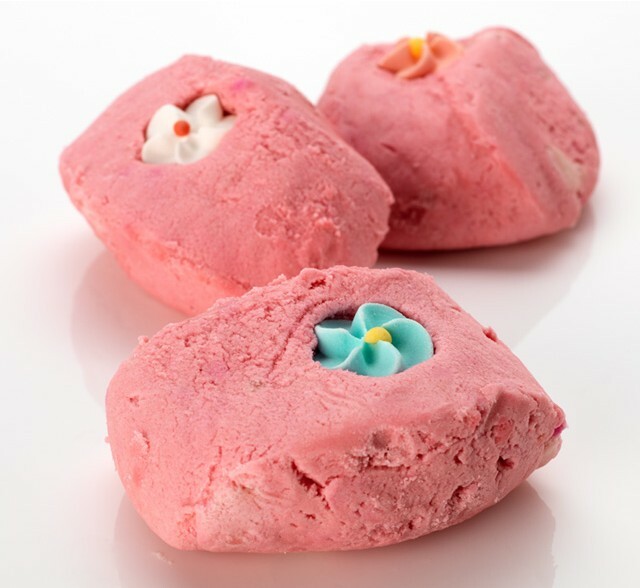 Moving on swiftly…first to be reviewed ( with appropriate company images) is the ‘Think Pink’ Bath Bomb. I think Lush paid great attention to detail with this bath bomb, it’s actually one of the cheapest ones on their website but it certainly doesn’t skimp on quality. 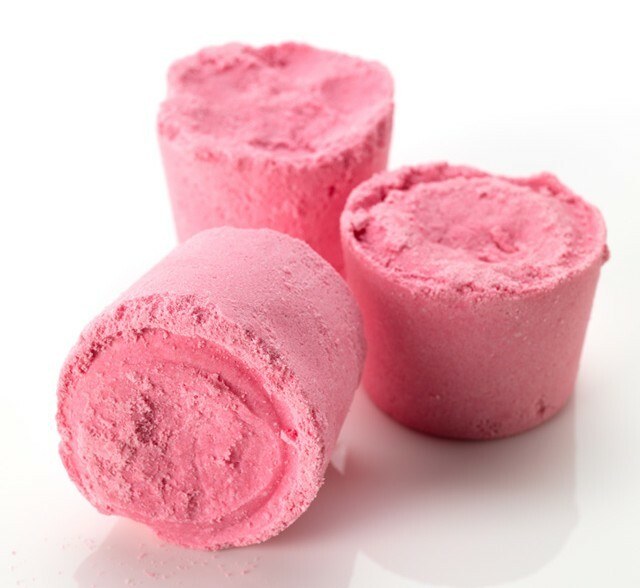 It turns your bath a bright neon pink (leaning towards purple) and smells lovely and girly! I have no idea what Tonka is so i can’t comment on whether or not it smells ‘Tonka-like’ ( made up word courtesy of my insanity…) but there is definetely a sweet scent of vanilla. More of an artificial vanilla than a vanilla pod scent which is strange as it’s not artificial at all! But then again i can’t say i’ve really smelt that many vanilla pods…enough of my rambling (again). I give this product a straight A in all categories bar value for money, £2.50 is one expensive bath! I actually really liked this product as an eco friendly alternative to the huge bottle of bubble bath i usually buy. However this is more expensive….and nicer…and more natural…hence the price. Therefore Lush are forgiven for charging £2.50. If you want a huge bath full of bubbles like this product suggests use the whole thing! If you want to eek it out like i did it still creates enough bubbles for one bath when broken into 5 pieces. So for a week of baths £2.50 isn’t bad. I had two of these so they lasted around 2 weeks. I’ll probably pick up a few more in my next visit to lush as the smell is incredible. It fills the whole house with a sweet ‘creamy candy’ scent so the name i perfect. I found the smell to linger on my body for hours after also. I give this product an A in all categories as i think it smells much nicer than liquid bubble bath and made me feel like i was doing my bit for the environment. Fails in pretty much every category, a bit of a waste of money in my opinion. Probably my favourite bar of soap ever. In fact this is the greatest soap in the history of soap. Seriously, it’s amazing! It smells exactly the ‘Creamy Candy’ bar i used with it. As i said i get dry patches on my legs and was half expecting for this to cause them to flare up but it didn’t! A lot of soaps can be really drying but i was pleasantly surprised to find that this one wasn’t. It lathers really nicely and this has lasted a whole month- if i was using shower gel i would be using about a bottle a week at about £2.50 so this is more cost effective and smells nicer! I am considering getting a shower gel to go with it though just to prevent dryness. Would i recommend this product? : Yes!! A*’s in every category…it’s a must have for my bathroom shelf! It definetely does what it claims! It does absolute wonders for your lips, especially if you get quite dry flaky lips. 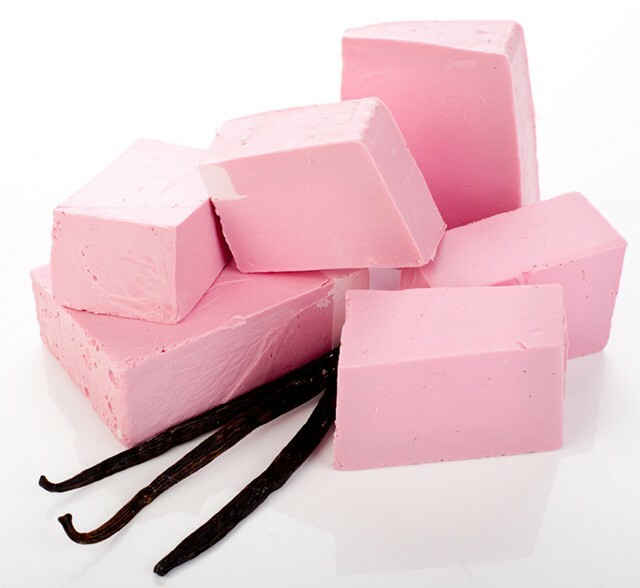 It is bubblegum scented and flavoured and tastes divine. Everyone keeps stealing it from me and threatening to eat it! I use this about once or twice a day and then apply lip balm and it’s definetely improved the overall softness and appearance of my lips. It seems to last for ever as well, i’m only half way through so would say this product lasts a good 2 months. This is one of those beauty products that i carry everywhere. Would i recommend this? Yes!! 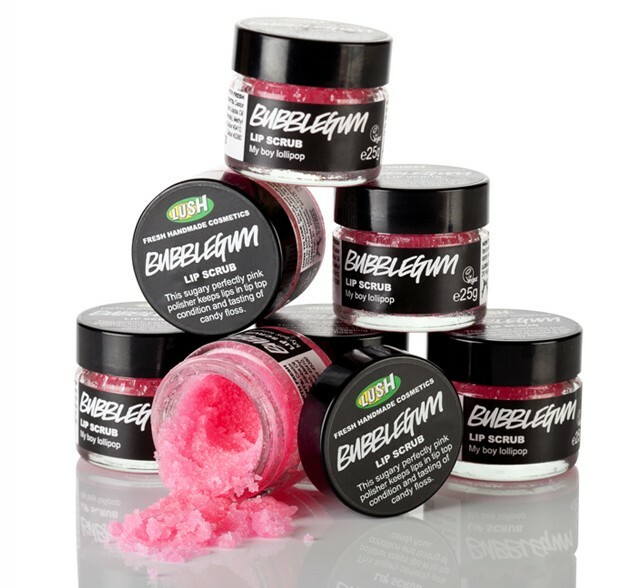 Another A* here…brilliant lip scrub which has become a staple for me! 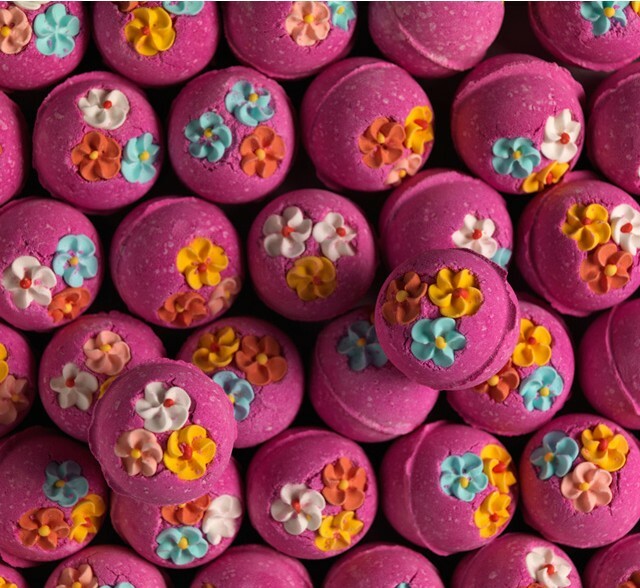 I hope i have helped some of you in your lush buying and decision making, let me know what you think! I read and reply to all comments. I was a little disheartened to recieve a lip liner as i always see them as being for older women and at 19 that is certainly not me. 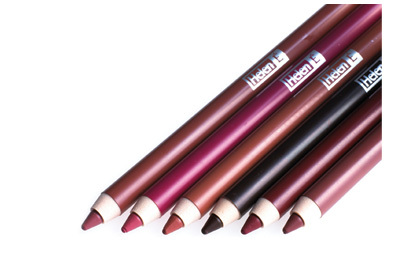 I was also disappointed in the dark brown shade, it looks almost like a brown eyeliner. However a quick glance at the price, and the fact that it is full size soon consoled me. I would have preferred to recieve the lip crayon or a pink shade but beggars can’t be choosers! The total of my box now comes in at £13 which has already paid for the box and the shipping! However i will probably end up giving this to my mum or saving it for a christmas gift for someone. This one i was very excited about! Yes, a full sized polish would be nice but as i have never tried nails inc before ( yes, awful, i know…) i’m happy with a mini. The colour was something i would definetely choose as i like anything bright, pastel or chock full of glitter! So yes, as a nail blogger the inclusion of a nail polish made my day! 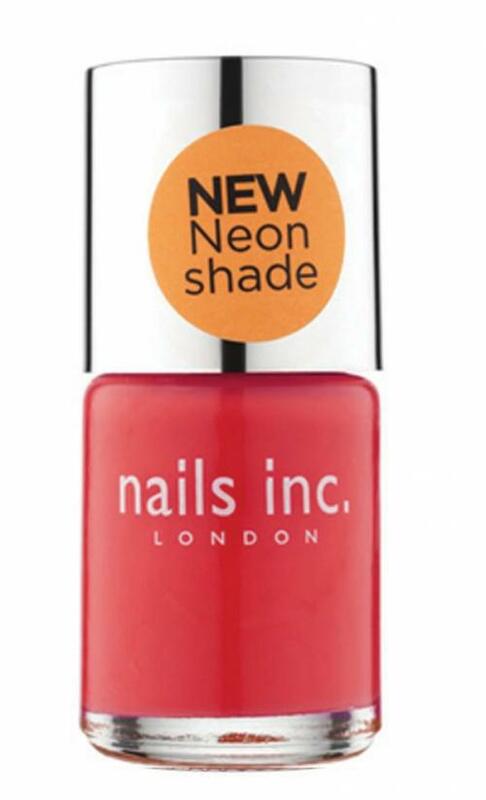 Who knows, if i really like this i might go and buy myself a few nails inc polishes! My box total is now a whopping £18, £5 over the price of the box and postage. Right on! Another full size product! Thats three in total! 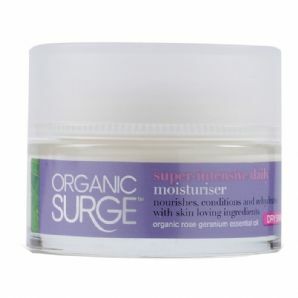 I was super pleased as i have now recieved two organic products! My face is extremely temperamental when it comes to face creams and moisturisers so hopefully an organic deity will whip it into submission! This is another thing i’ve been meaning to buy and would likely never spend the rrp for it so to recieve it in a glossybox is super cool! I also noted that it contains no parabens which is always a bonus! I also recieved two 15ml Paul Mitchell samples for curly hair. My hair is straight straight straight so these will be passed over. Also, i’m not one for hair care products. So this one will also be given to my mum. It is nice that they included a salon brand and i’m very pleased with the fact that a lot of these are high end brands. I think this was money well spent so will continue with a monthly subscription. Hooray for glossybox! Hopefully next month i will get some eye make up and more nail polish. Fingers crossed. Head over to Glossybox.com to order your own box!